Following the strict packaging guidelines, we make sure that the range of products we offer are packed sternly to evade loss/damage. By this, we ensure that the products are in safe condition during handling, warehousing and transportation. Quality is one aspect on which we can never compromise. And, for this, our personnel work hard and ensure that the entire lot complies with defined quality norms. 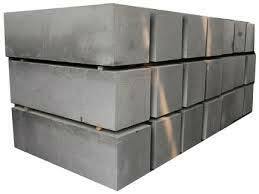 We introduce our business as a notable entity of qualitative array of Electrode Graphite Blocks.